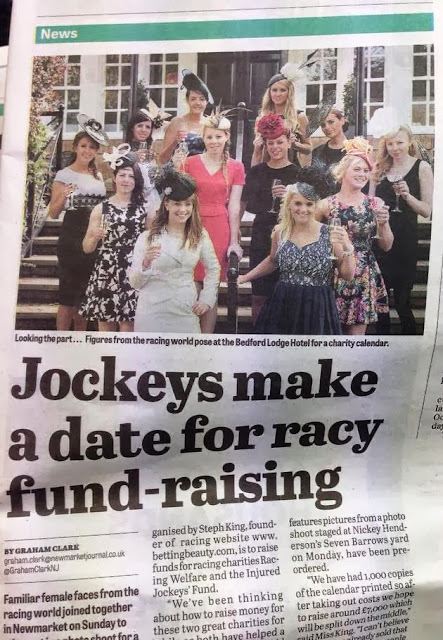 Unfortunately I missed the Sunshine on Ladies day, as I only attended the Ebor Festival on Saturday. But the fact that we had a winner definitely made up for the rain!! 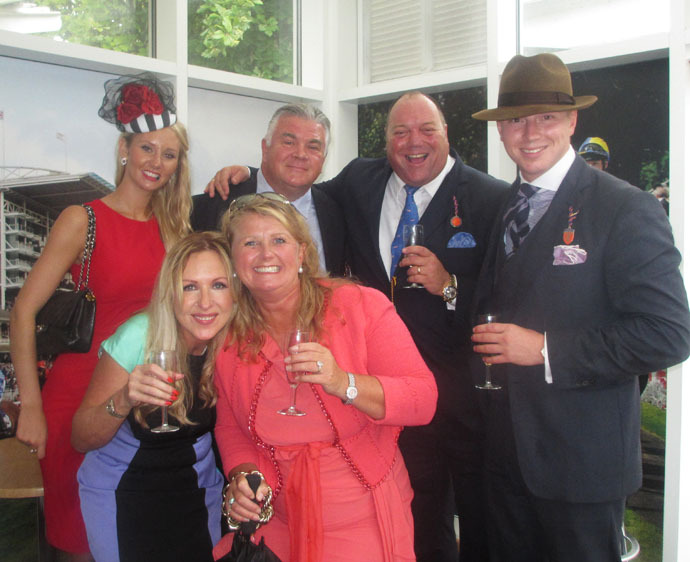 As we arrived early and well equipped with an Umbrella and Rain Mac, I headed straight to the Fashion at the Ebor marquee to see what delights it had in store. As I made my way through the crowds to the otherside of the course (which felt like miles!!!) 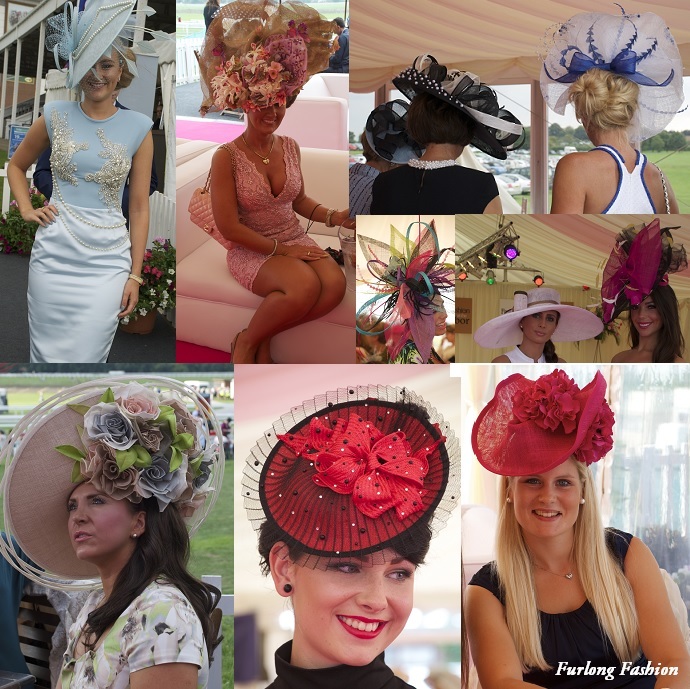 it was clear to see that the rain had not put racegoers off from dressing in their finest and showcasing some fantastic millinery. 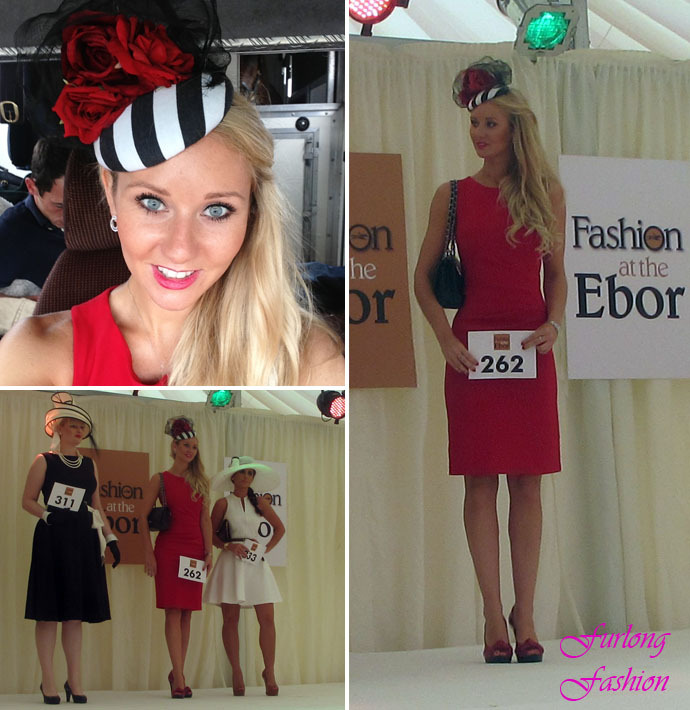 I was lucky enough to have been supplied a beautiful hat from Cara Meehan Millinery which definitely turned some heads. (Keep checking back for an indepth interview with up and coming milliner Cara Meehan) I teamed this with a Red Bernshaw dress (which is also available in Orange and Colbalt Blue definitely a dress for the Doncaster Ledger), Red Kurt Geiger shoes and my Chanel handbag. The Award for best dressed lady went to the Lady in white with the lady in the monochrome coming a close second. Personally I would have chosen the runner up. 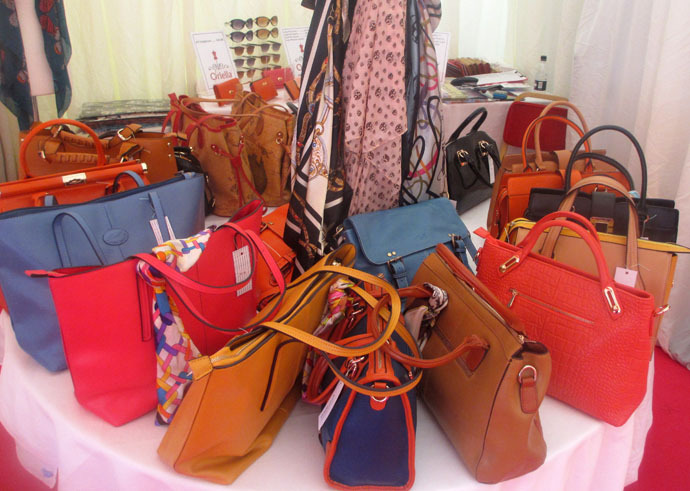 I was impressed with the variety of stands in attendance in the Fashion Marquee. 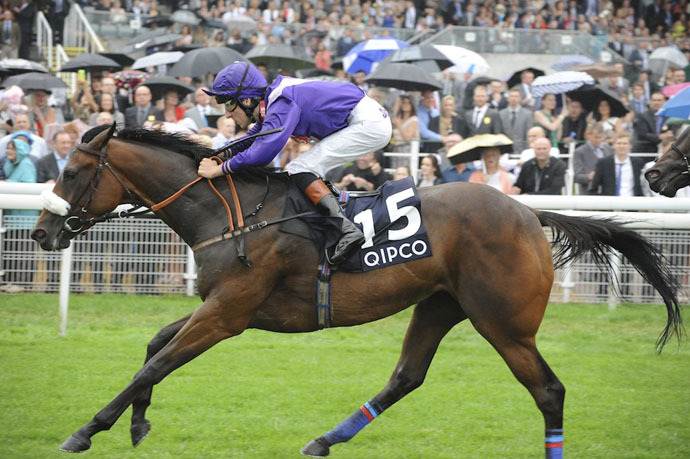 From winter tweeds from Country Sporting of Cashel to Luxury Mobile Hampers from Gourmet Trotters the York Ebor Festival really did have it all. I caught up with each company to find out a little more about their brand and what they supplied. Beaufort & Blake was formed after the Queens Jubilee & Olympic games in 2012, providing Gentlemen who like to stand out from the crowd with distinctive Black Tie Evening shirts, elaborate socks and Jazzy underpants. From Spots to Royal Crowns there really is a pattern for everyone. These shirts are unrecognisable underneath a dinner jacket but when the announcement is made to allow Gentlemen to remove their jackets all eyes will be on the Dandy who reveals one of these extraordinary pieces of fashion. 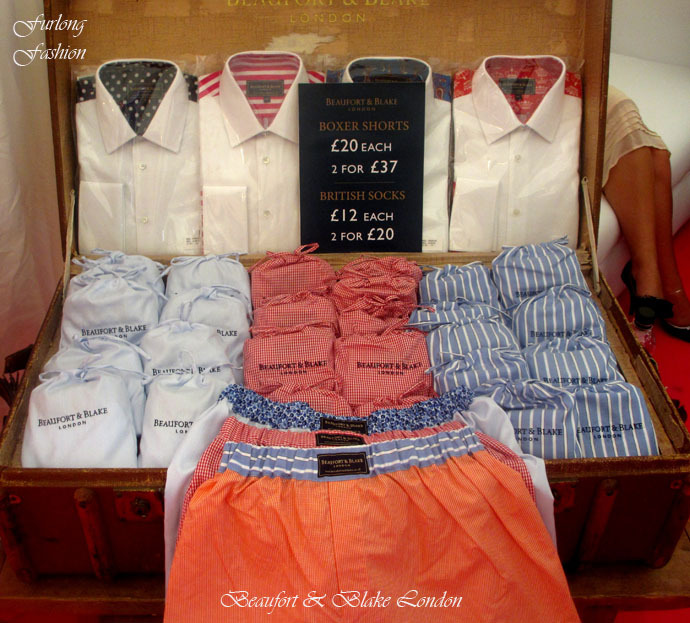 Not only are these shirts distinctive they are also very well made being 100% cotton and having Real Mother of Pearl buttons. At £62 I think every man should own at least one. 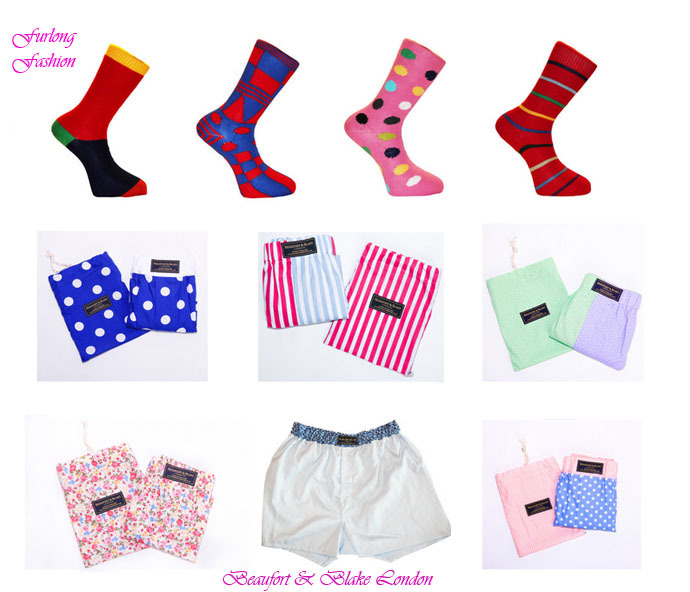 All Socks are £12 and Pants are £20 subject to offers at events. For more information on Beaufor & Blake vist www.beaufortandblake.co.uk or alternativley visit them at Burgley Horse Trials on 5th & 8th September. 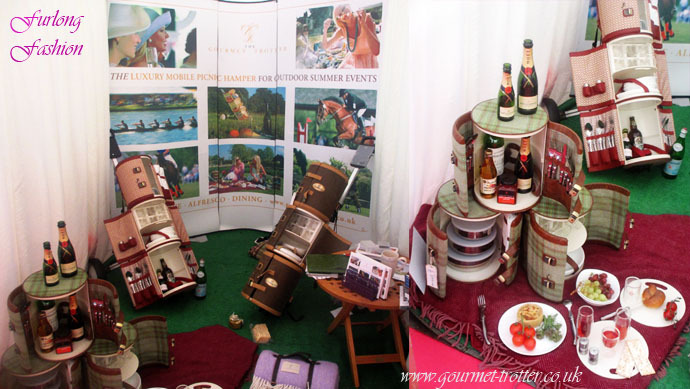 The Gourmet Trotter stand immediately caught my eye as it was something which I had never seen or heard about before. Clare who is the genius behind the product informed me that she had been on Dragons Den only a couple of weeks ago but unfortunately none of the Dragons came on board with her idea. 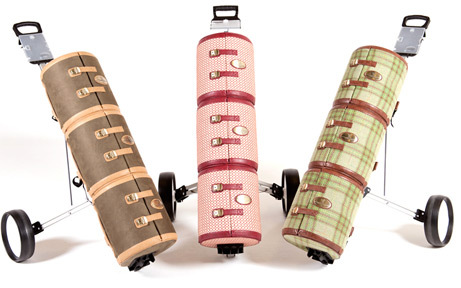 The Gourmet Trotter is a unique luxury mobile picnic hamper, which ingeniously utilises a golf trolley putting an end to having to carry a bulky picnic hamper or cool box around. It is made up of three detachable modules, which caters for up to four persons. It is available directly from https://www.gourmet-trotter.co.uk/shop/ at £399 including the Golf Trolly. 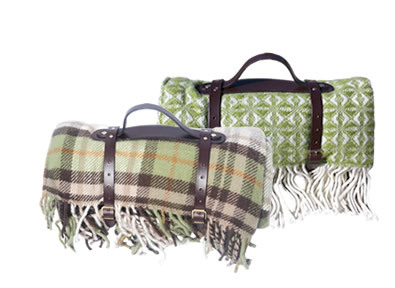 Also Available are the Gourmet Trotter Picnic blankets which are a large family size rug made from beautiful pure new wool, with decorative rolled fringes and British summer proof waterproof backing. One of these rugs is definitely on my wish list. Perfect for Cartier Polo / Horse Trials or just a romantic picnic. 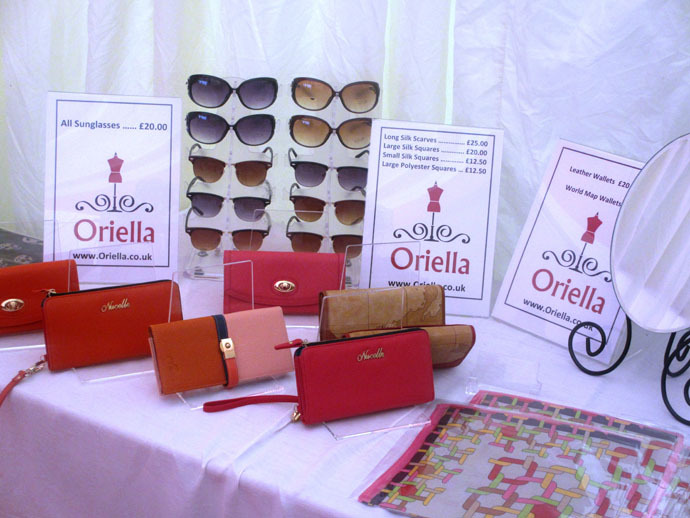 Oriella showcases quality leather bags, wallets, beautiful silk scarves and accessories for all age groups and tastes. 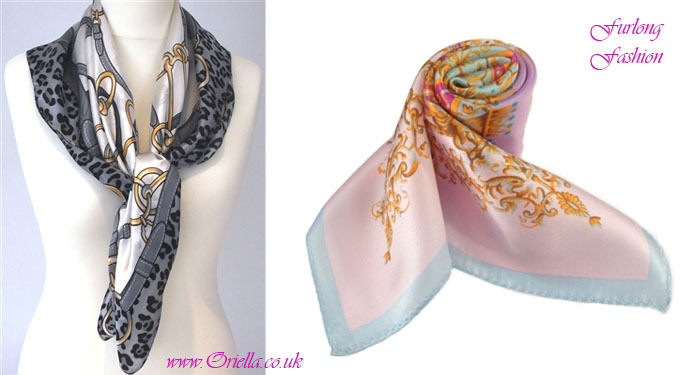 From classic equestrian designs to fashionable cutting edge designs Oriella's 100% silk scarfs are a must have. priced between £20-£25 for large scarves and £12.50 for small scarves they are definitely brilliant value for money. My personal favourite have to be the Grey and Gold Leopard Silk Scarf which incorporates one of AW top trends and the Royal Riligree Pink and Blue Small Silk Scarf which I think is beautiful and would look wonderful on the handle of a Handbag or tied around your neck, think Hermes without the price tag!!! Oriella also has a large range of handbags and purses which can be seen on the website ranging from £40 - £95 for handbags and £20-£30 for purse all good quality and excellent value for money. Yvette Jelfs was on hand not only to judge the Fashion competition but also to offer millinery advice. 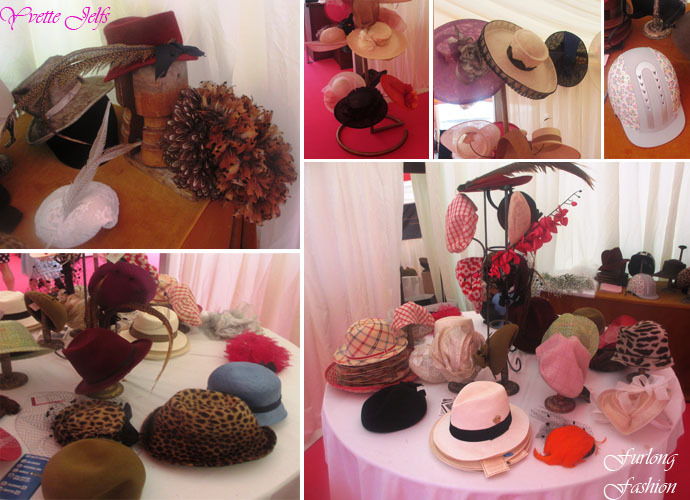 Yvette also had a stand showcasing her beautiful designs, ranging from Summer to winter hats and even customised riding hats Yvette really had thought of every possible request. My personal favourite which I have not stopped thinking about since I left has to be the feather head band. 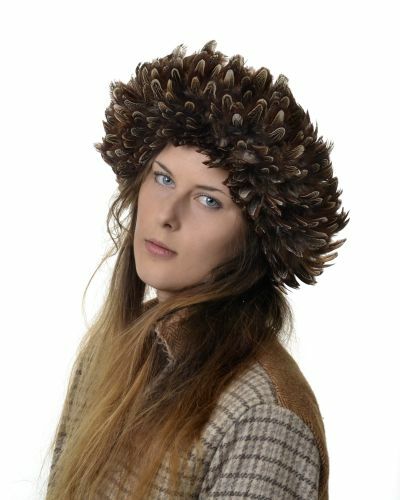 Normally head bands are made from fur or faux fur, I think it is such an original idea to make one using feathers especially as it makes it water proof. 2013 has seen the first Yvette Jelfs for Jaeger collection of which Yvette has been going around The Jaeger shops with a Hat Trunk show. 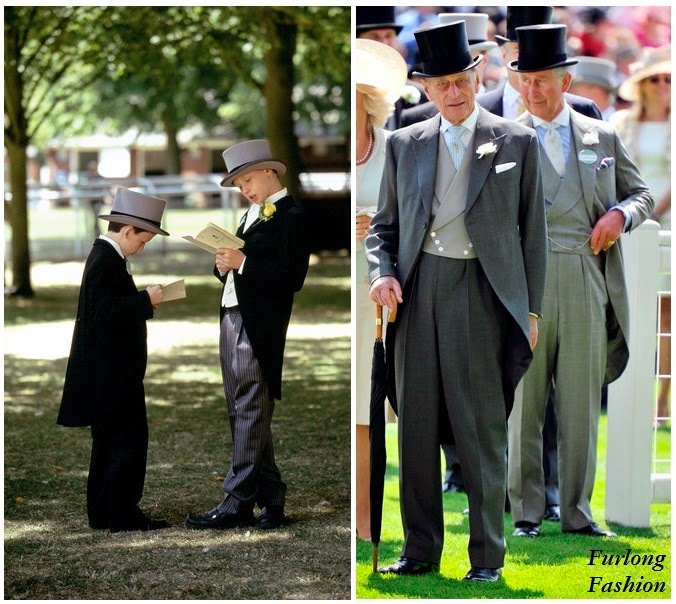 This will help customers to see what suits them and why, all dates are on the news page on Yvette Jelfs Website. 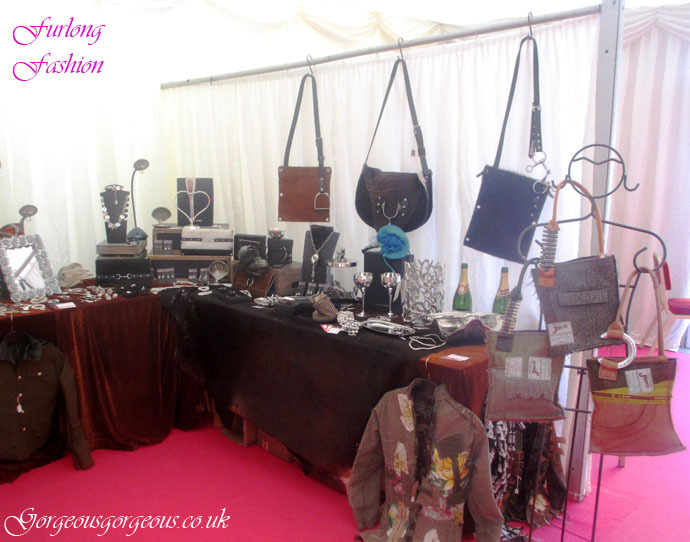 Gorgeous Gorgeous provides modern and contemporay pieces of jewellery and gifts along with some fantastic cowhide bags. 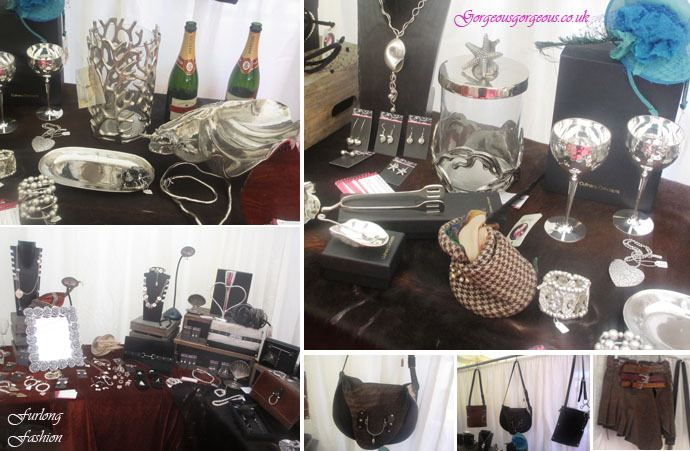 From silver necklaces to fantastic polo hat wine coolers this really is the place to purchase gifts from. 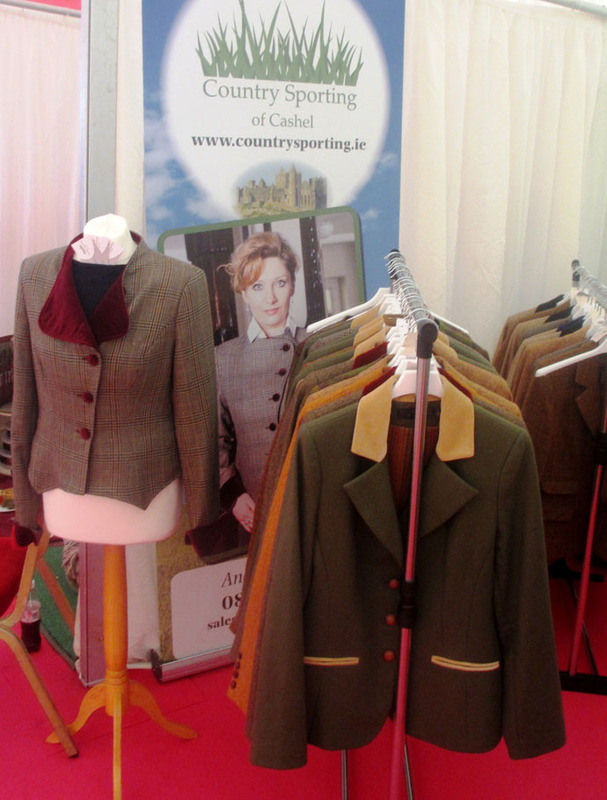 Country Sporting of Cashel are a small friendly team who supply high class ladies tweed. 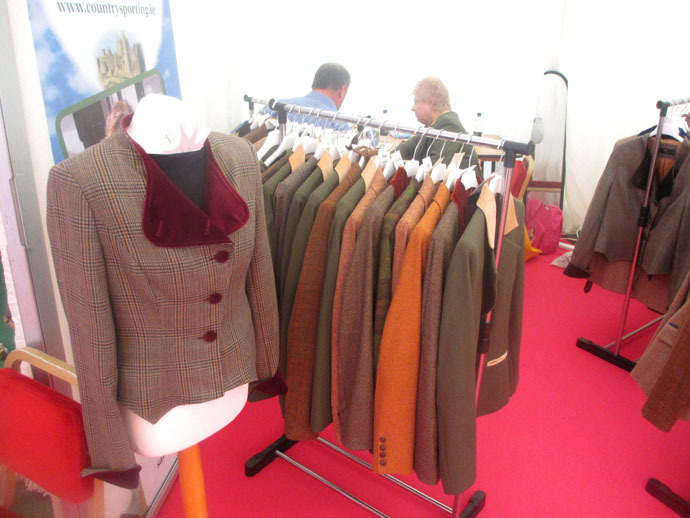 Their jackets are produced using the finest wool sourced from traditional woollen mills, and manufactured exclusively for Country Sporting, in the time honoured process of tweed weaving through to garment tailoring, backed by the expertise of Europe’s leading designers. In Conclusion minus the weather it was a brilliant day with some fantastic horse racing and some equally stunning fashion on display.